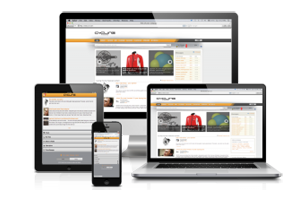 At wwwhatever we build uncluttered, clean-lines websites, which work efficiently and look good on all devices; mobile phone, tablet, laptop, desktop PC and TV screen. They are professional, they are in sympathy with your corporate style and they are kind on the eye. Your web presence can be built fairly quickly and cheaply if you are happy to use one of the many design layouts provided on WordPress®. Otherwise, we can build your website, exactly the way you want it, using our bespoke service. advertise your products, services, club or charity? sell your products and services? accept bookings for an event? The internet is a very cost-effective way of providing your customers with your marketing brochure. With the explosion of mobile and home broadband many of your customers will research you on the internet before they come and talk to you. Whether you already have a traditional brochure or not, most companies do need a website presence to market themselves in order to remain competitive. wwwhatever can provide a website that mimics your marketing brochure. Better than that, because an online marketing brochure has hyperlinks, it can play video and sound, include an email facility, provide an order form download or an online ordering facility, and use eye-catching tasteful animation to capture your prospective client’s attention. In addition, your website can link directly to your social media channels, such as Facebook™ and YouTube™, which will alert your followers and prompt them to take a look. Most people have access to a PC or mobile device, meaning they can easily access the internet and make purchases online. wwwhatever can provide an online sales facility that is integrated with your online brochure, as well as links to your bank for online payment. And, as your customers buy, your stock control is automatically updated alerting you to re-order when your stock is below a specified threshold. If you run training courses, musical events or rent out your Spanish villa, for example, then you may want clients to be able to book places and purchase tickets to ensure they pay before they attend. Similarly, your club may want to collect club membership fees that need to be paid annually. wwwhatever can provide you with an events management system with a payment facility with links to your bank to allow payment by credit and debit card payments as well as PayPal™, WorldPay™ and other payment mechanisms. All this is done safely using the financial company’s secure API (Application Programming Interface) software.